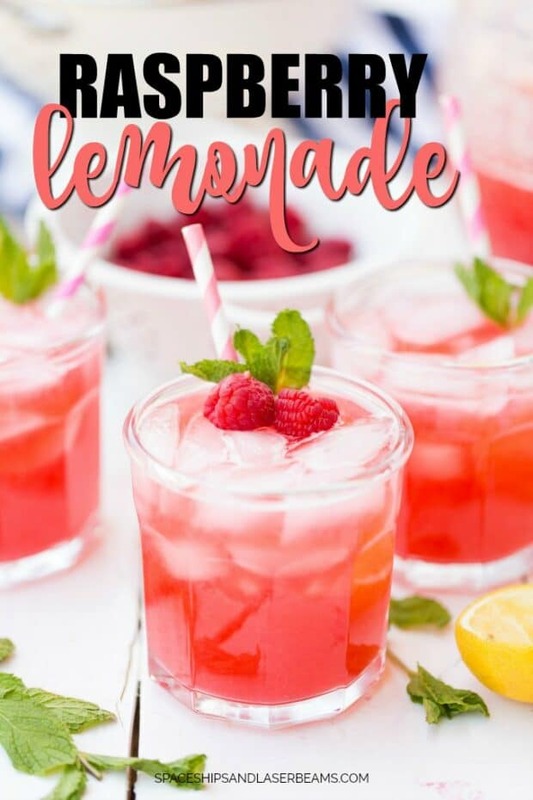 This fresh homemade raspberry lemonade is great for entertaining. It’s soft pink color is so pretty and the sour-sweet flavor will have party guests raving. It’s an instantly instagrammable drink. Pair a glass of raspberry lemonade with a slice of cake, and soon you’ll be wondering why everyone keep finding excuses to drop by. We love this no bake eclair cake and our Strawberry Angel Food Cake! 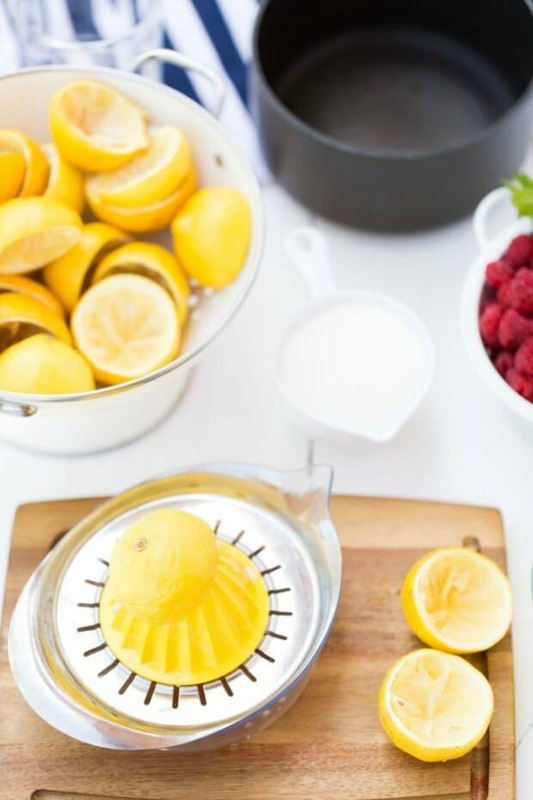 Making your own raspberry lemonade is incredibly easy. We use raspberries – my absolute favorite – for this recipe but you can always make the syrup with other fruits. Blackberries, strawberries, peaches, and mangos are some other amazing fruits you can use to make this yummy drink. Adjust for the perfect sweetness with your syrup so you can get the perfect balance. A lemonade is also an amazing base for a fun summer punch. 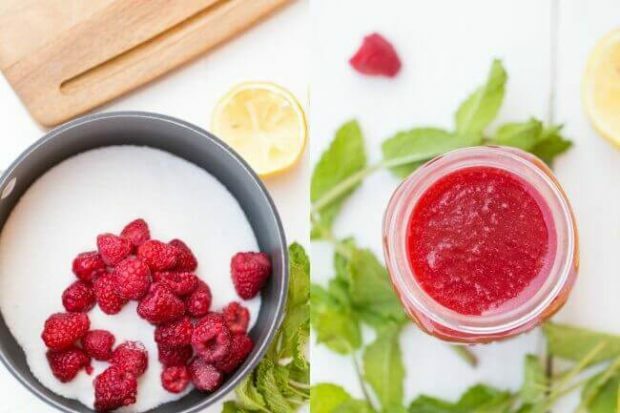 To start, take a medium sized pot and pour in the 1 ½ cups of water, sugar, and the fresh raspberries. Bring this to a simmer on medium high heat. When it starts boiling, stir until the sugar is completely dissolved. I also like to mash up the raspberries a bit more with my spatula at this step. Once the sugar crystals are all gone, turn off the heat and let the syrup cool. 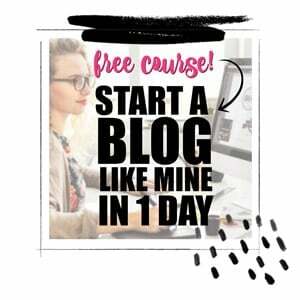 Pour the cooled mix into the blender and blend, blend, blend until it’s all smooth. Pour the content of the blender through a strainer to make sure all the seeds are removed. In a pitcher, pour in the lemon juice and water, and add in the raspberry simple syrup to your taste and stir. Adjust sweetness with the syrup as needed, and serve your refreshing raspberry lemonade cold. This drink is also be amazing mixed with other drinks. 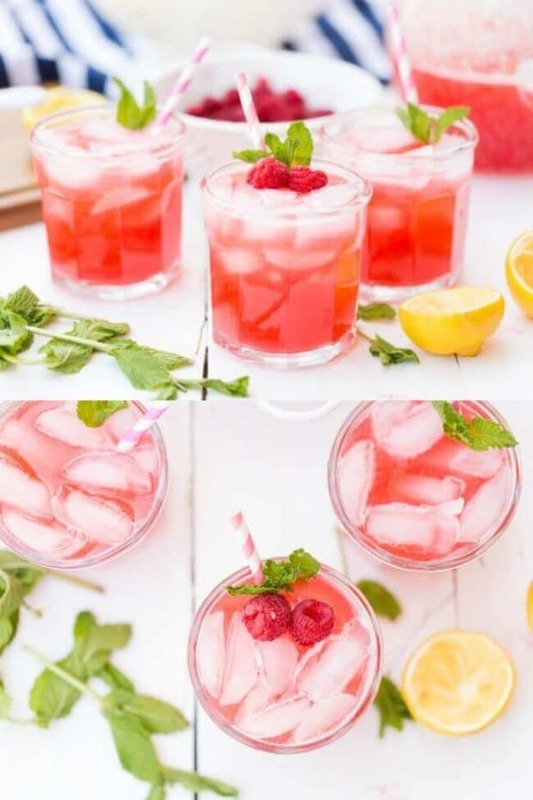 Grab some unsweetened ice tea and mix in some of this raspberry lemonade for the perfect Arnold Palmer. 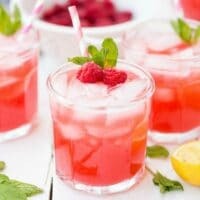 For the adults, it’s always time for a delicious cocktail made of this healthy, refreshing raspberry lemonade. A splash of vodka or tequila makes for a fun afternoon in the sun. Let cool and pour contents in a blender. Blend until smooth. Pour through strainer to remove all the seeds. Pour lemon juice, raspberry simple syrup, and water into a pitcher. Stir. Love making this when we have friends over for summer BBQ’s. Super refreshing!